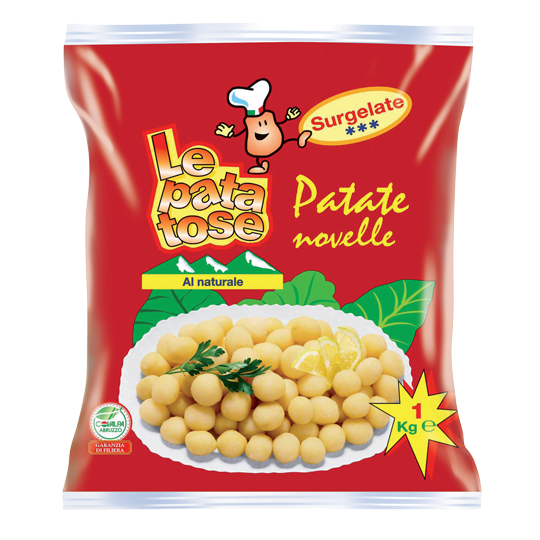 Pre-fried or natural: the Best Italian Potatoes for all tastes! 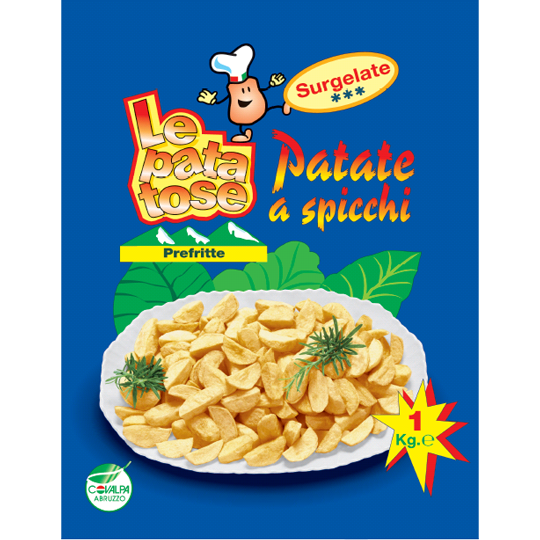 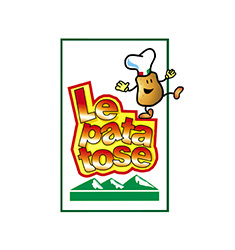 Le Patatose is the line of products for the Horeca sector that includes pre-fried or natural potatoes. 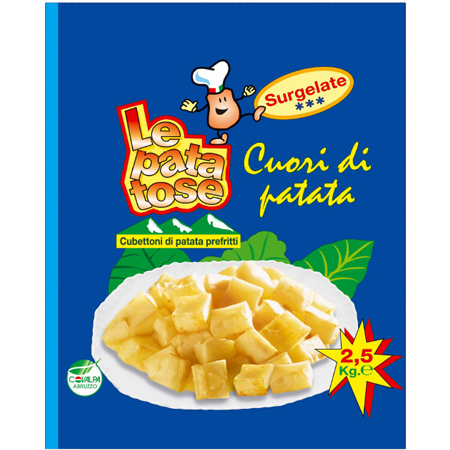 The pre-fried potatoes are available in various types, from croquettes to new potatoes, rustic Fucino to wedges, and sticks to cubed. 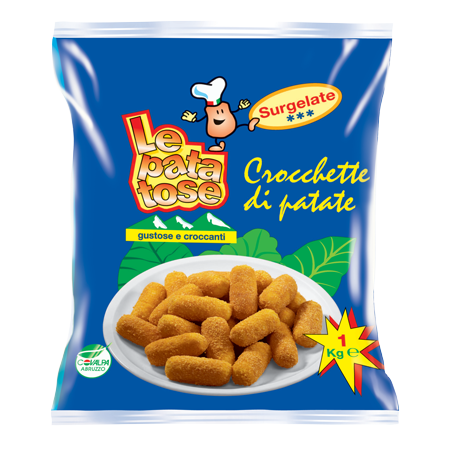 Tasty and ready to use, they guarantee a golden and crispy finish while staying soft inside. 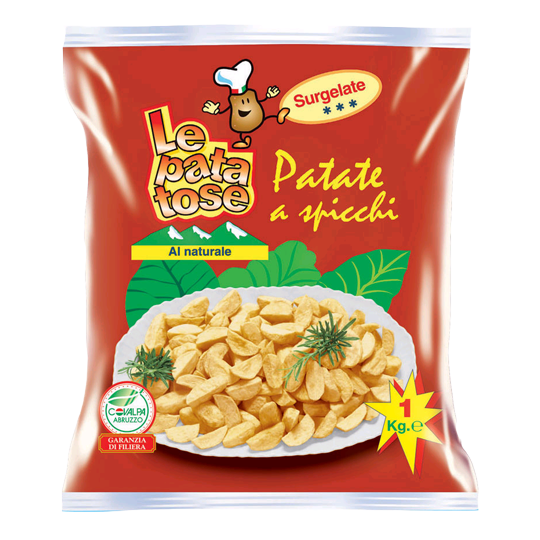 Horeca pre-fried Patatose potatoes are the perfect accompaniment to satisfy the palates of both adults and children. 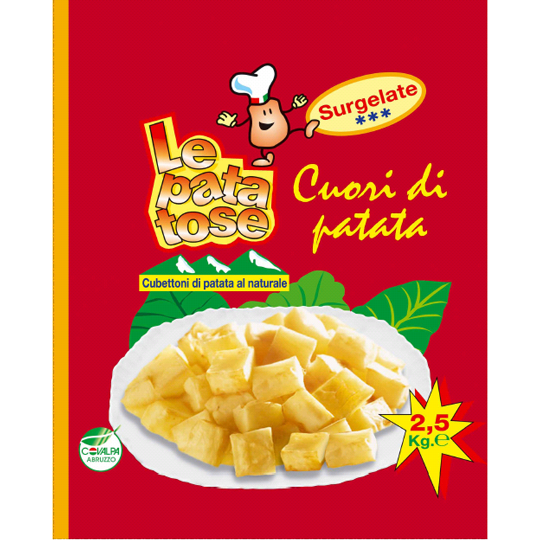 The natural potatoes are truly unique, with not only diced potatoes, but also new potatoes and soft and tasty wedges, ready to go in the oven or boil without needing to be cleaned and cut.